Cob is an ancient building material that is composed of sand, earth high in clay, straw, and water. These materials are mixed together by hands and feet to form a mud that when dry, is nearly as hard as concrete. Cob is used to construct benches, tables, cottages, and even houses. Go Green! Spread out a plastic tarp and spread sand over the top of it. This sand needs to be mixed into the clay and spreading it onto the plastic tarp first helps prevent the clay from sticking to the tarp. Sand and earth with clay are the main ingredients, so the sand content can be low as 50 percent and as high as 85 percent. 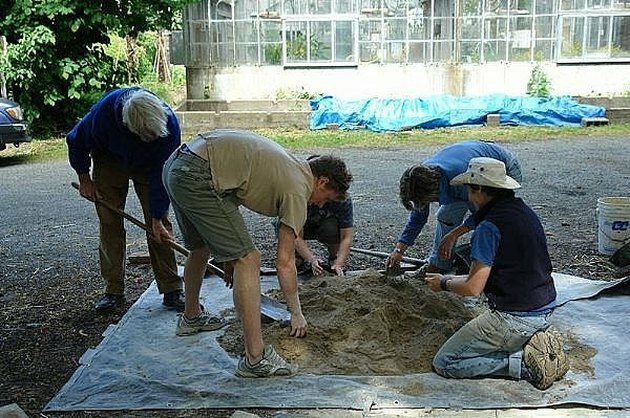 Locate dirt that is primarily clay and start shoveling it onto the tarp. The clay should be moist. About 4 shovel fulls will do it. 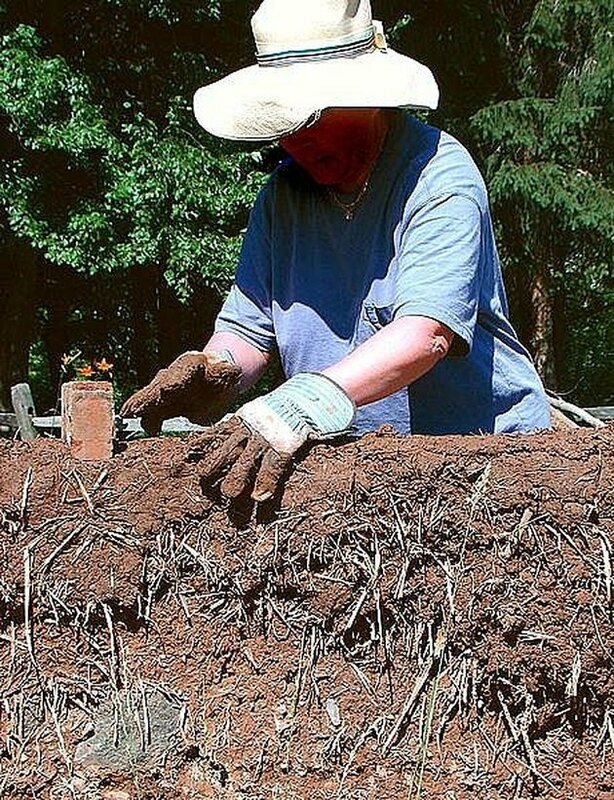 Have someone help you lift the edges of the tarp to mix the sand and clay together. 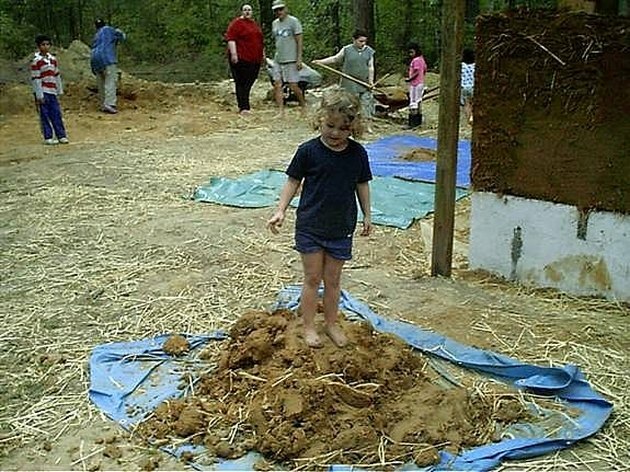 Then lay the tarp down and begin to stomp on the clay, with your bare feet, mixing it up. Add approximately 2 armfuls of straw to the mixture. Drop the straw in as you are stomping on the clay. It can be very tiring to mix the clay and straw but keep going until you see the straw throughout the clay. The consistency of the cob should be like cookie dough. An easy way to check the consistency is by "loafing". This is when the material folds over when the tarp is lifted and looks like a "loaf" of bread. Now you are ready to make an oven, wall, a shed or a house!